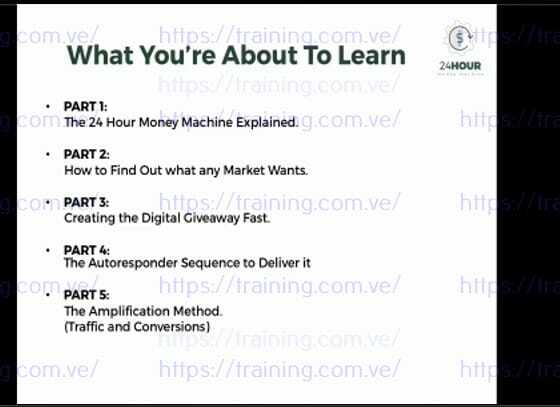 The "24 Hour Money Machine" 10,000 ft Overview: I'll walk you through the full system and how it all works to put money into your bank account using simple (affiliate link stuffed) reports. 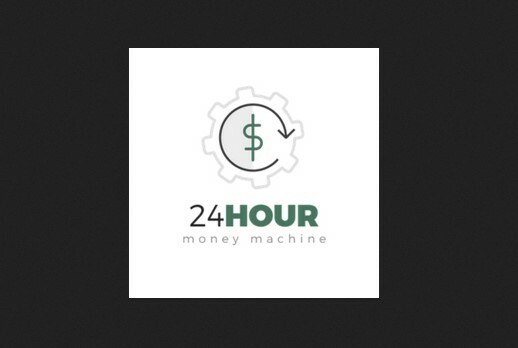 How to Find a Profitable Angle: You'll Learn exactly how to Find profitable ideas for creating your "24 Hour Money Machine" (before you ever start). How to Create your "Money Machine" Fast: You'll Learn the exact process that you need to take to convert your 5-20 Page "Money Machine Report" in less than 24 Hours. How to Add in an Optin Sequence: Want to build a list with your "Money Machine" to grow a list while you're spreading your covert moneymaker? You'll see exactly how inside. How to Drive Traffic to Your "Money Machine" Report: I'll walk you through the simple ways that I drive traffic to my Asset so that it starts to spread like wildfire. [Advanced Only] The Fearless Sales Template Package (If you decide to charge money for your "Money Machine" report and want to build an entire funnel for it, you've got everything you need). [Advanced Only] Dr Ben's Closely Guarded "1 Hour Video Sales Letter" Creation Workflow.